Did you know that there’s a connection between health and wealth? Certified clinical nutritionist and Pilates and yoga instructor Leanne Jacobs does, and her new book, Beautiful Money: The 4-Week Total Wealth Makeover, is all about getting it. 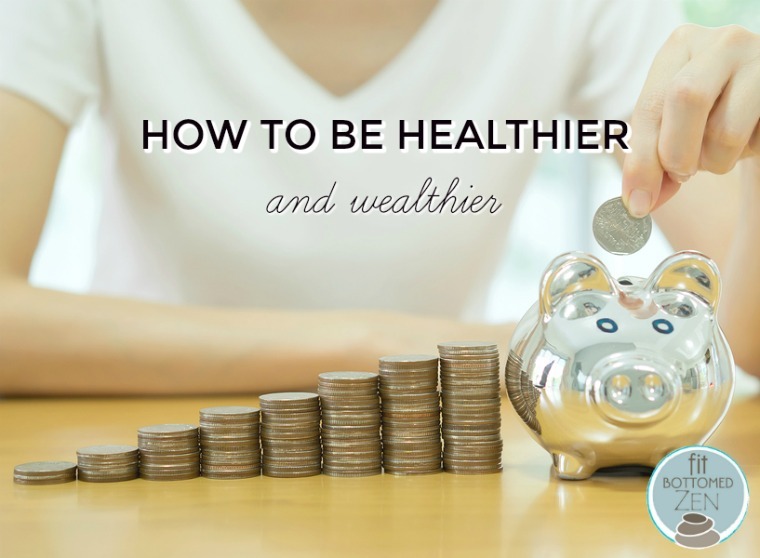 Read on for a Q&A with Leanne as she discusses how you can better connect and align with your inner self for financial freedom — and a healthier and happier life. Can you tell us a bit about your new book and why you wrote it? There is a paradigm shift going on in the world today. Never before have we been more overweight, stressed out and in debt (as a society). Disconnection is causing people to get stuck in a negative tailspin. People are fearfully chasing money and secretly feeling disconnected, depressed and unfulfilled. I wanted to experience creating wealth without an agenda. I wanted to experience creating wealth in a mindful, aligned and healthy way. I wanted to experience wealth creation feeling connected, grounded and full of love. Beautiful Money is a four week total wealth makeover. This paradigm shift is one’s deep desire to transition from chasing money to creating holistic wealth. We love the title, Beautiful Money. How did that come about and why did it stick? Honestly, it was an intuitive hit one night. I started writing down many titles that would be possible options. Beautiful Money just felt true and right. In what ways does good health affect your wealth? I believe that there is a huge shift going on. Your State of Health and Radiance is your new business card and your wealth magnet. In order to hold amazing space for great wealth and a great business, you must make a vow to yourself — to hold yourself and your health sacred. What are three easy things people can do today to be healthier …. and wealthier? Take a time-out to evaluate what is working with your life and what isn’t. Spending your time doing things you don’t love and filling your schedule with trivial matter will never lead to a happy + wealthy life. Write out what you want in this lifetime. Exactly what you want. Discipline yourself to be a person of excellence with your health and your money. What’s the biggest misconception people have about money? That it’s about the money. It’s never about the money. It’s what’s behind the money. If you give an over-spender with low self-worth more money, they will just create more debt. If someone wants to align to their highest purpose, what steps should they first take? To get quiet for a moment. Our intuitive guidance will naturally move us towards prosperity and wellbeing — if we only took more quiet time to listen. Anything else you’d like to add? For those listening — you are exactly where you are supposed to be at this exact moment. It’s time to create exactly what you want.